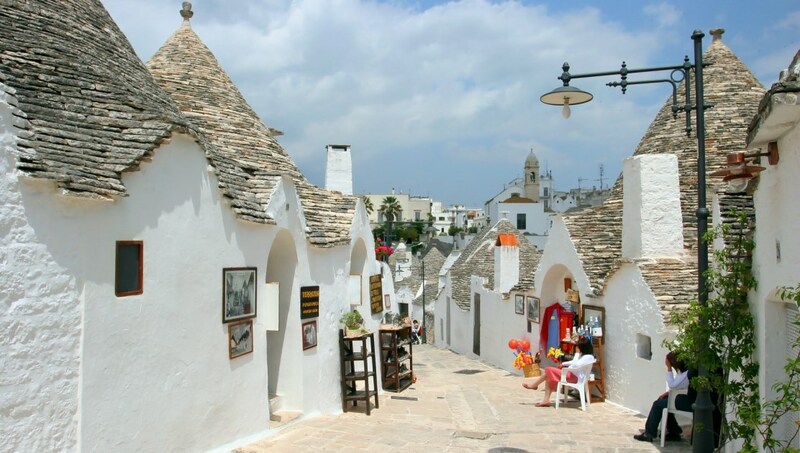 Alberobello, a small town located where Italy's heel meets its sole, is famous for its absurdly charming white-washed, cone-topped houses. These 16th century "trulli," as they're called, have been designated as a UNESCO World Heritage site. Truely! Check out the darling hobbit-like settlements in Rione Monti, Aia Piccola and Trullo Sovrano. 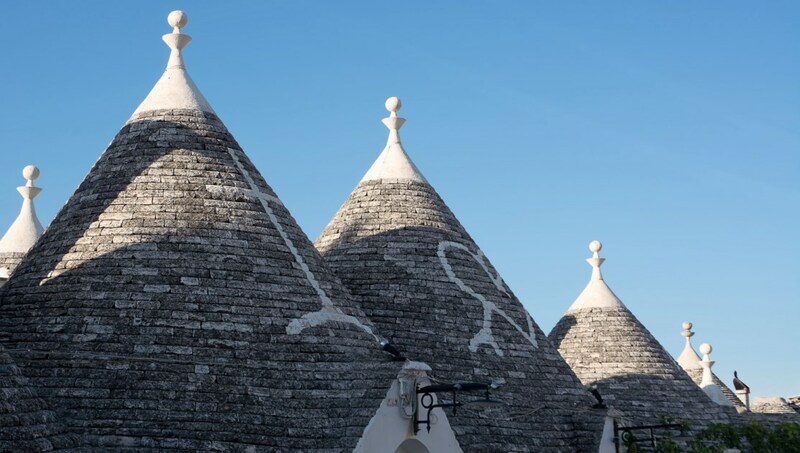 Trulli were designed to befuddle tax authorities by appearing as temporary field shelters. Watch the world go by in this central square lined with trees and benches. 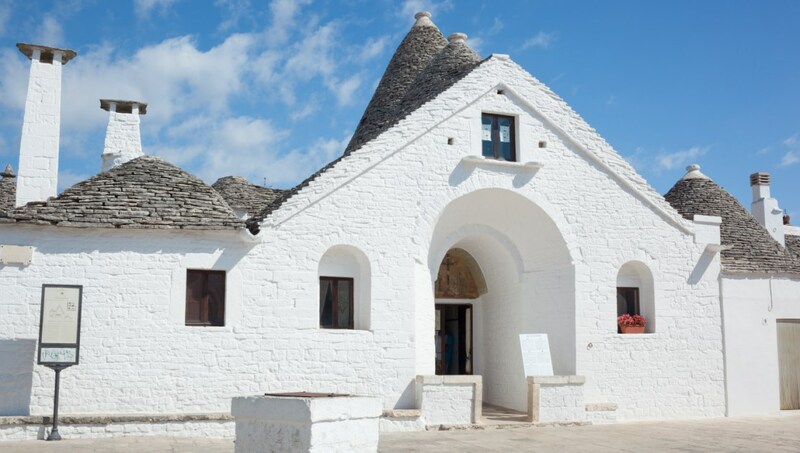 Wander this lovely museum to get a sense of how the 16th century peasant families of Puglia used to live, farm, and build their trulli. It's likely you'll be consuming lots of olive oil on this trip, so why not find out how this glorious stuff is produced! Just 5 miles away, this thoroughly pleasant town requires a good wander around. The center is perched on a hill amidst a spiral maze of lanes, baroque archways, and fine restaurants. With upmarket and authentic shops, this gorgeous historic town definitely deserves an amble around. Don't forget to try capocollo, the town's own renowned cured ham. 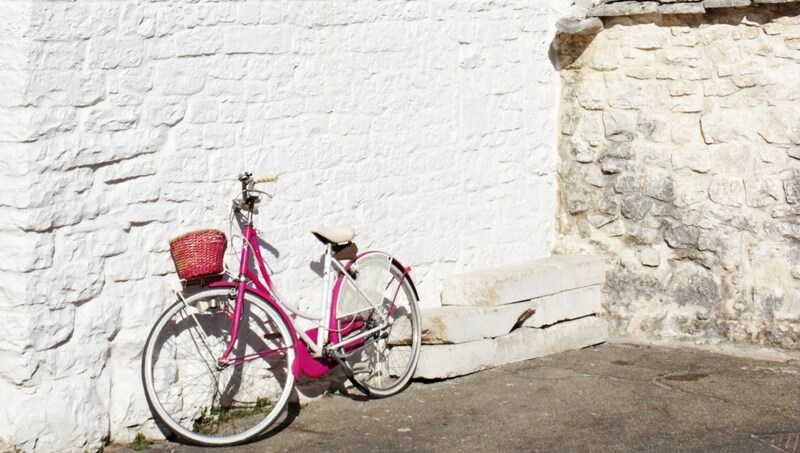 Cycle along the dramatic coastline of the Gargano peninsula, ride through olive groves of the Salento, and see castles and cathedrals on an unforgettable bike trip. Are the beaches worth going to? The beaches around these parts are a dream. There's a nice array of sand and rock beaches so you can have your choice. 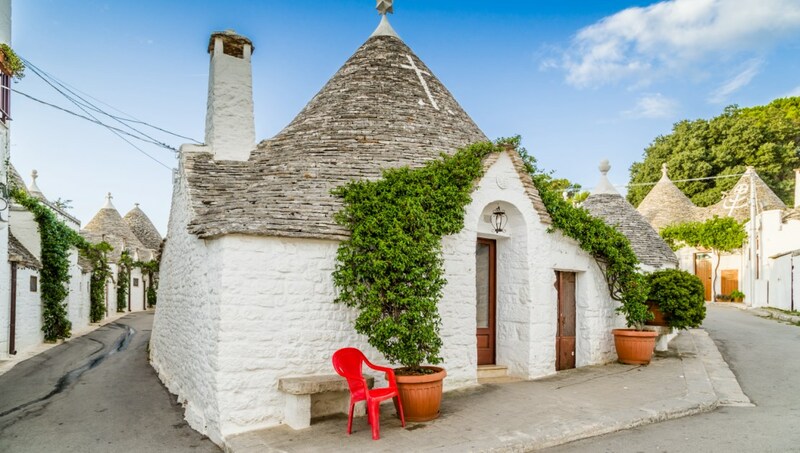 Is a trullo really expensive to stay in? 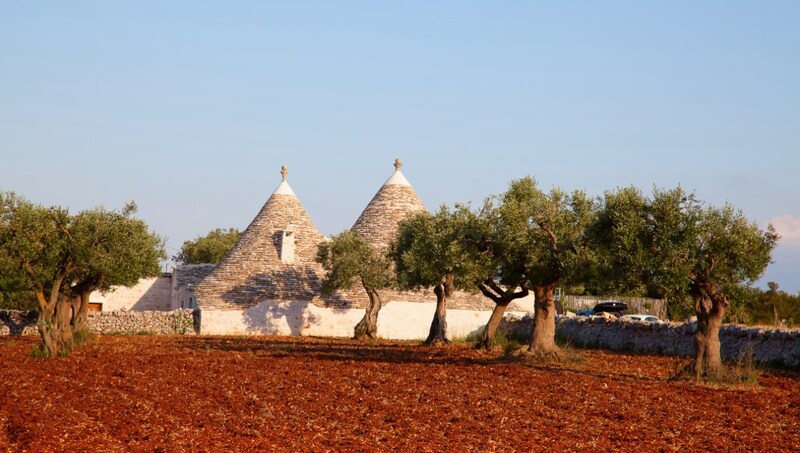 There are many types of trulli, ranging from more rustic to those outfitted with a private swimming pool. Prices fluctuate according to the season. For example, renting a trullo with a swimming pool in July costs 2,449 euros per week, while one week in October costs 1,290 euros. Many of these can fit up to ten people. 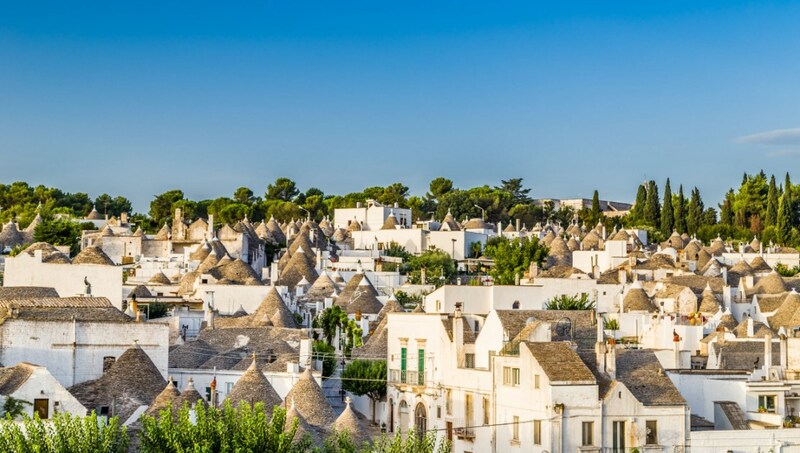 Alternatively, there are some trulli hotels which cost, on average, 78 Euros per night. The best times to book your trip in southern Italy are in Spring (April - June) and Fall (September - October). The colors of the countryside will be especially enchanting then, with flowers and lush greens in Spring and rich reds and yellows in the Fall.